(Nanowerk News) Today’s 3-D printers, in which devices rather like inkjet-printer nozzles deposit materials in layers to build up physical objects, are a great tool for designers building prototypes or small companies with limited product runs. 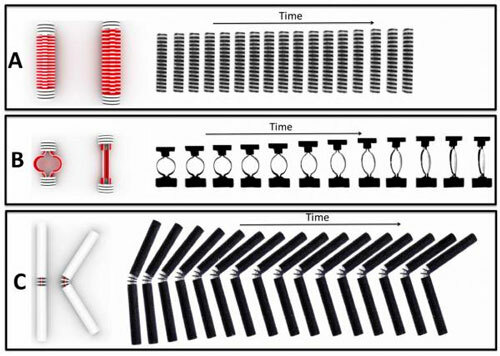 In the latest issue of the journal Scientific Reports ("Active Printed Materials for Complex Self-Evolving Deformations"), a team of researchers at MIT and the companies Autodesk and Stratasys describe a new process for designing and manufacturing such “programmable matter” that could make it more versatile. Whereas much prior work — at MIT and elsewhere — concentrated on materials that self-fold, the new procedure yields materials that also self-stretch.